Israel and the PA resume security coordination in full, three months after Abbas froze contacts with Israel. Israel and the Palestinian Authority (PA) have resumed security coordination in full, Channel 2 News reported on Friday. This comes three months after PA chairman Mahmoud Abbas froze the security coordination with Israel in protest over security measures at the Temple Mount. 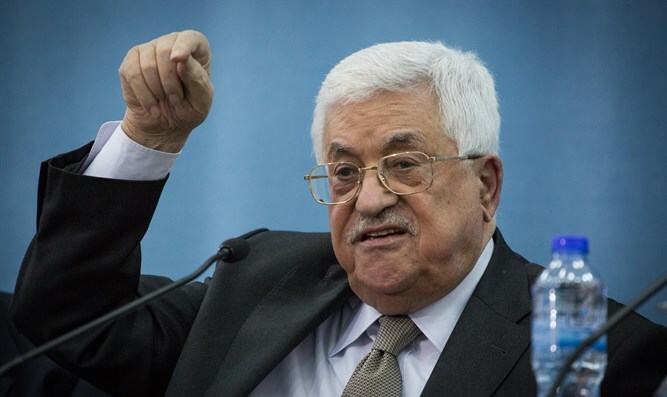 According to the Channel 2 report, the coordination, which had been minimal since Abbas's announcement in July, has been fully renewed in recent days. No reason was provided for the renewed contacts. Abbas was outraged over Israel's placing of advanced metal detectors, known as magnetometers, at the entrance to the Temple Mount. The Israeli move came in response to the terror attack at the compound, in which two Druze police officers were murdered. The security measures prompted protests from the PA, the Jordanian Waqf which administers the site, and the Jordanian government. The Waqf at one point refused to enter the compound in protest of the new measures, choosing instead to pray in the streets outside. Eventually, Israel decided to remove the metal detectors from the Temple Mount and replace them with security measures based on advanced technologies.